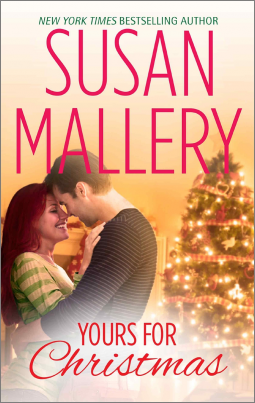 Susan Mallery has created another irresistible romance novel. A single mother with a little girl falls for a super hot, super generous, funny and nice guy. But she knows that she should stay as far away from him as possible but fate makes it hard for both her and Kenny to stay away from falling in love with each other. Kenny is a famous NFL star who ends up meeting a single mom with a daughter. But when they are put together, he cant resist her at all. And neither can Bailey resist Kenny and his charm. Will they both find happiness this holiday? Or will they both still be single? I highly suggest reading this amazing novel. No book, is written in such a charming, sweet yet stunning way as Yours for Christmas has been written. Overall, I rate the novel a five out of five stars.